The SOL HAUS (aka Vina’s Tiny House) is the original classic, full of light, with a focus on simplicity and sustainability. 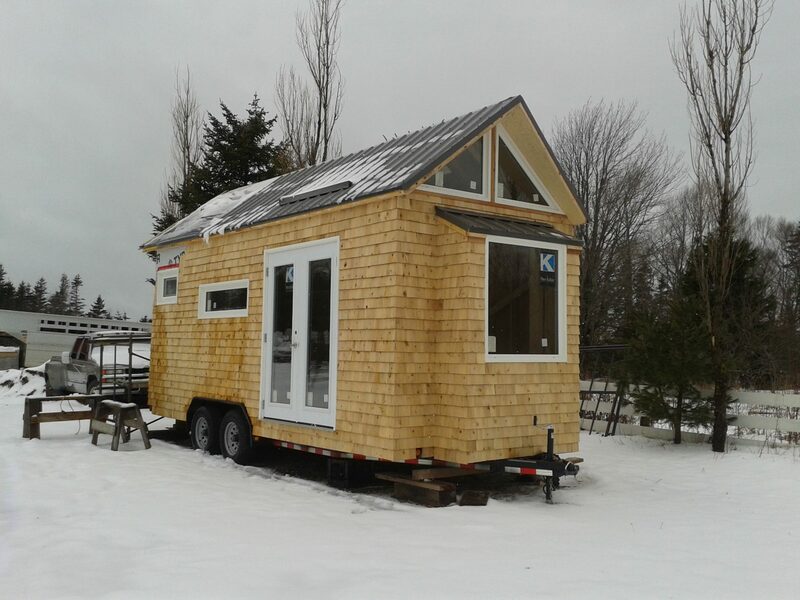 Built on a 8′-6″ x 20′ trailer, it is a comfortable 140sf of interior space. The generous outdoor deck expands the living space to the outside, and has become the signature feature. It has served as my beloved home for more than four years since 2013. 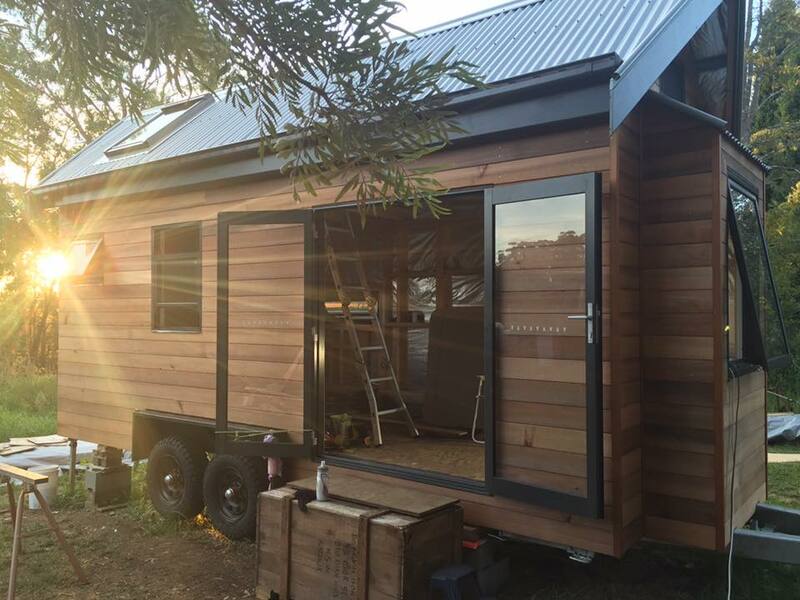 Tried and true, this tiny home has been built by dozens of people throughout the world – from Canada, Australia, and all over the US. See testimonials and happy reviews to the right of this page –>. 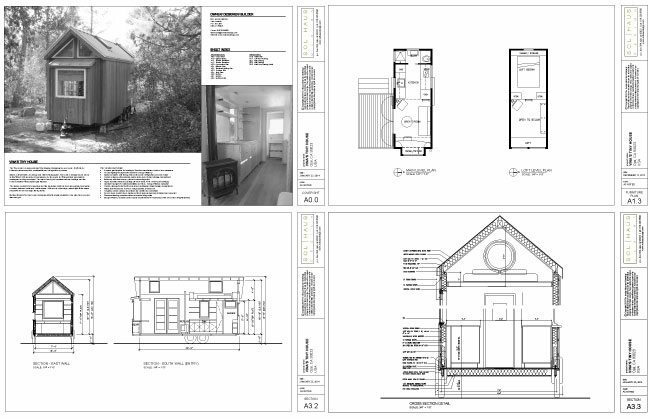 Wall Framing Elevations for all exterior sides After purchase, you will receive 11×17 format drawings as a PDf file by email. A valuable companion for building Vina’s Tiny House. It provides material specification and will help in the decision making process for which materials to use for your budget. You will receive via email 8.5×11 PDF file. ePhotobook contains 69 pages of photos documenting the construction process from beginning to end, from the customization of the trailer to the installation of the hardwood floors. The book provides an excellent visual aid during construction. 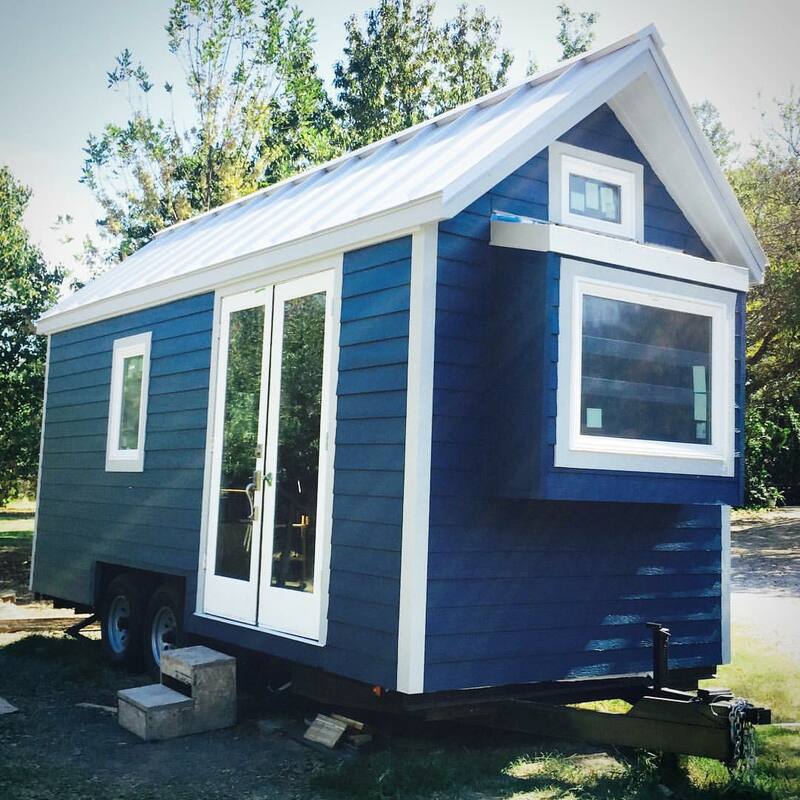 I scoured the Internet for my perfect tiny house design and as soon as I saw Vina’s house I knew it was my perfect floor plan. 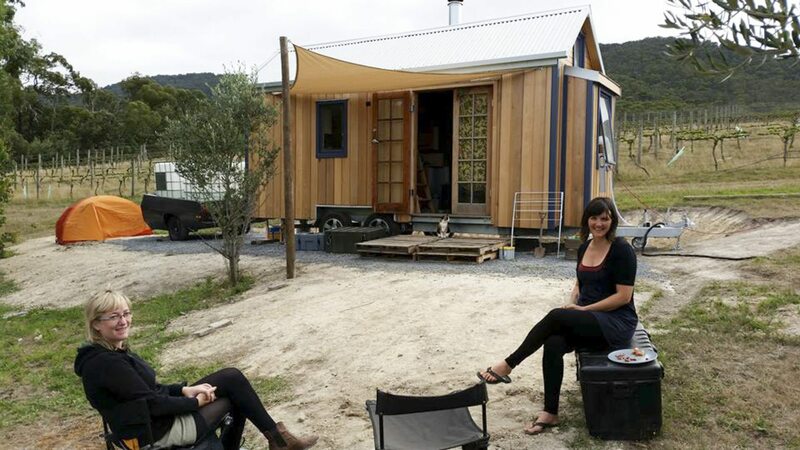 When I saw Vina’s tiny little house I was hooked. I was amazed by the amount of natural light that filled the house… I am glad I have chosen Vina’s plans. I was really interested in the design of your house. I did have some Tumbleweed plans and after lots of research, your design really resonated with me.